For a man who is not well-remembered outside of specialist circles, Eldridge Johnson has left behind a lot of physical material and resources. For example, if you’d like to read Johnson’s personal papers, you can visit the American Heritage Center in Laramie, Wyoming, USA; Johnson’s son donated 48 boxes of personal and business papers there in 1975. You can access copies of some of these papers, including Johnson’s diaries from 1901 to 1930 at the EMI Archive in Hayes, Middlesex, England. The Victor factory became the RCA complex in Camden, New Jersey, until the 1990s, where it, along with the Campbell Soup Factory, was one of the principle employers in the area; the Camden Historical Society has a number of materials and artifacts related to Victor and RCA-Victor. 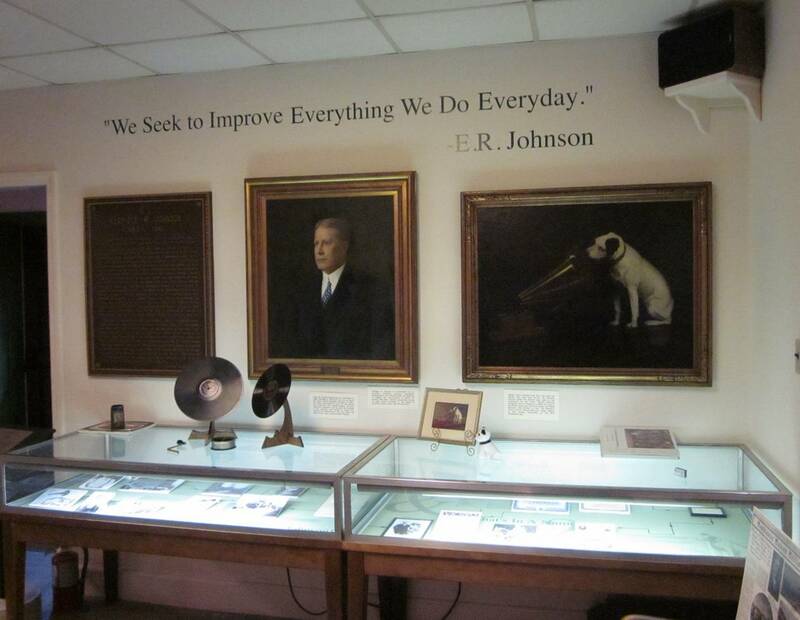 Edison has his own museum, of course, but so does Eldridge R. Johnson, the Johnson Victrola Museum in Dover, Delaware, a dedicated building housing lovely things related to the man and all things Victor. 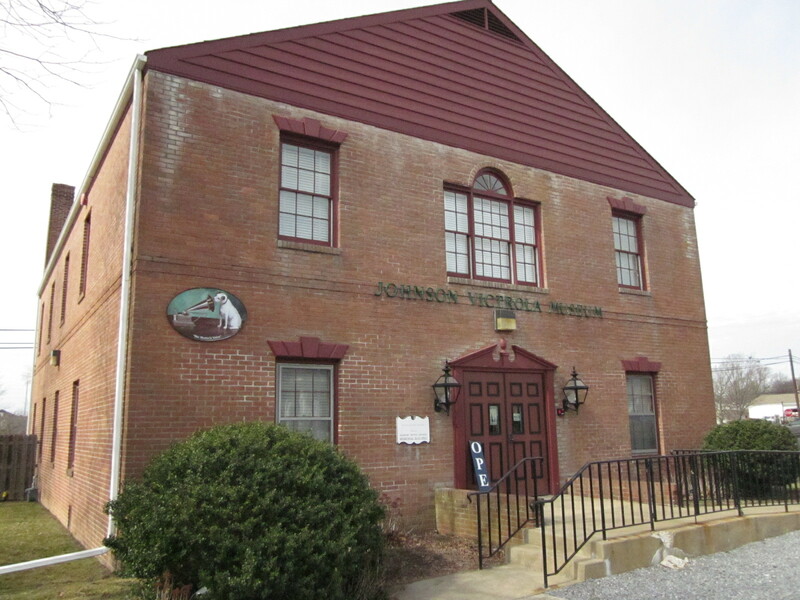 The Museum was founded by Johnson’s son in 1975; the mid-‘70s were a boom-time in the US for little Museums because of a huge interest in preserving American culture at the time of the Bicentennial. The Museum is a two-story building nestled in the center of historic Dover; the ground backs up to a small church whose cemetery contains the remains of the Fenimore family (Mrs Johnson was Elsie Fenimore, you see.) The Museum holds literally thousands of Victor 78s (the last count the archivist gave me was ‘somewhere between 50 and 80 thousand.’ Think of the weight alone!) 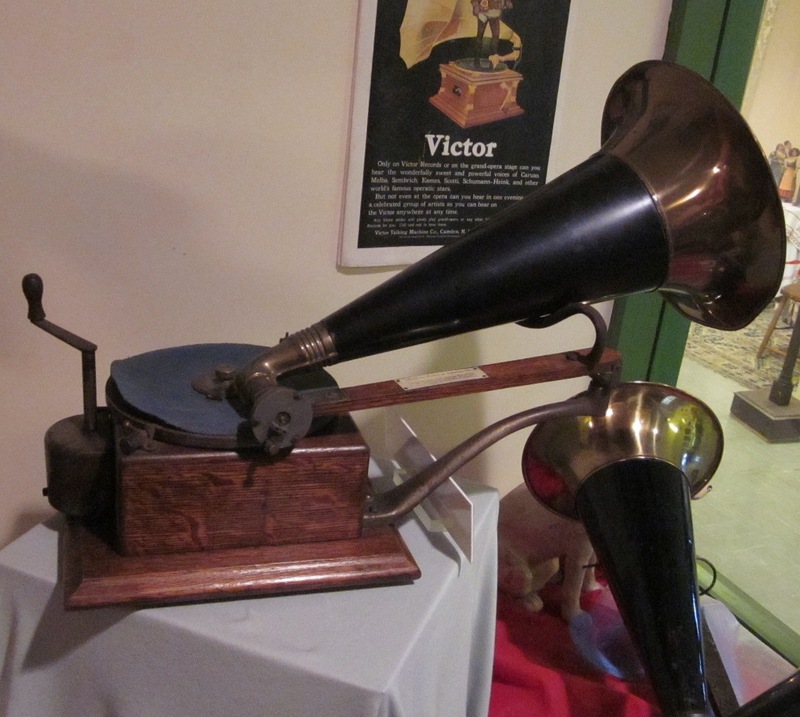 There are over 100 Victor and Victrola models from an example of the earliest improved gramophone model for Berliner to the huge orthophonic machines of the last years of Victor. 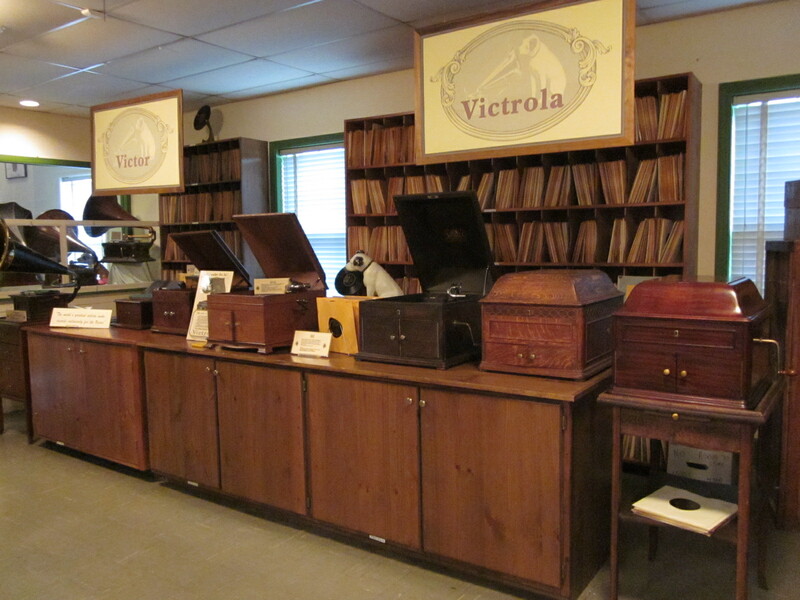 There is a reproduction set-up of a typical record shop of Victor products, and numerous Victor advertising, ephemera, and memorabilia. Johnson’s office has been reproduced with his desk and comfy chair and many of his personal possessions, including his posthumous Grammy. Upstairs are more machines and horns related to the whole history of recording, many of which donated by a private collector with an apparently very understanding wife – so you can see an Edison tinfoil machine and a couple of Bell’s graphophones; if you’re looking for anything to do with Zonophone, there is a photo of Mr and Mrs Frank Seaman in one of the cabinets. The other Victor celebrity roosting in the museum is Nipper in lots and lots of forms. 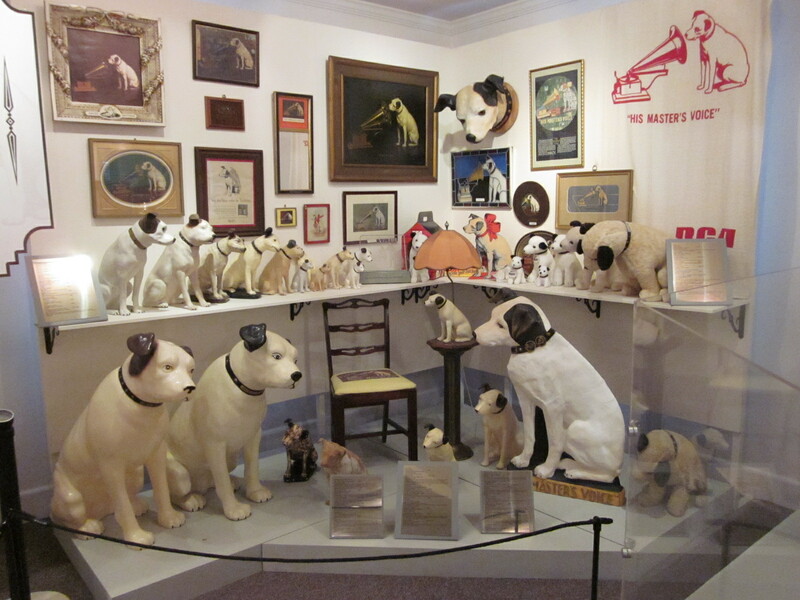 The pride and joy of the museum is one of the autograph Barraud paintings sent to Johnson from Barraud himself (and the third painting the artist made after the original ‘His Master’s Voice’ and a second one for the Gramophone Company). 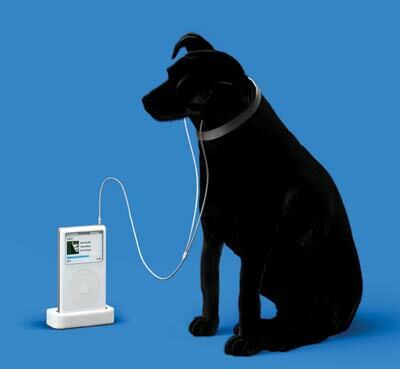 Since Johnson secured use of Nipper ‘as he saw fit’ Nipper is more prevalent in the US, whereas in the UK, he is very strictly licensed by HMV. So keep in mind, these are Victor and RCA-Victor flavoured Nippers. The museum is an Aladdin’s cave of wonderful machines and memorabilia – and while the Museum was closed down in 2009 due to budget cuts in response to the recession in 2008, the State of Delaware has re-opened the museum (as of May 2011) almost to its full schedule. The Museum’s holdings are also kept by the State Archives in Dover in a state-of-the-art facility – while you have to make a formal request to see things kept in the Archives, the Museum is free to the public. 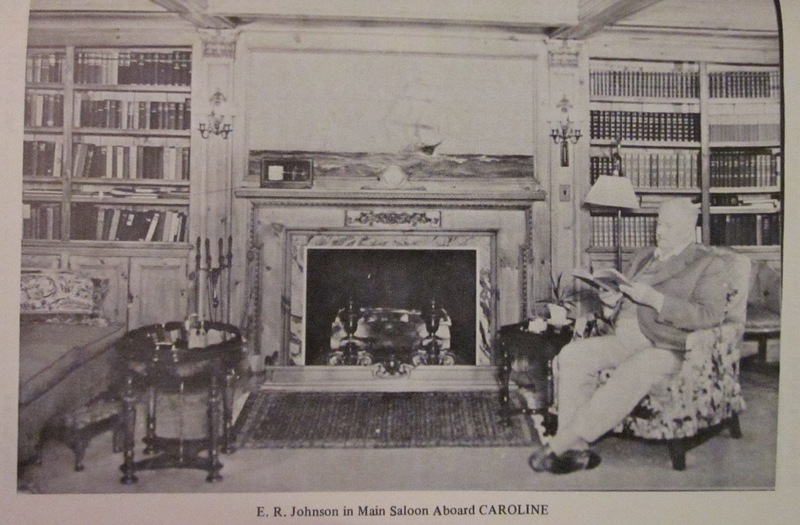 Quick – show of hands – tell me everything you know about Eldridge R. Johnson….well, if you’re poking around this website, you probably have heard of him, but many people have not. 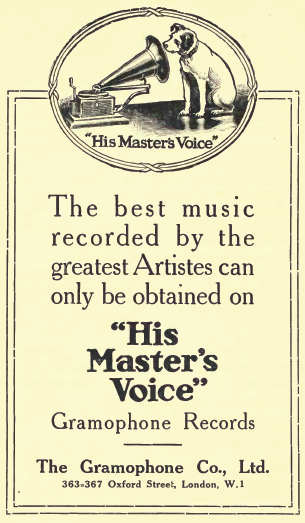 If you’re one of the ‘nots’ — perhaps you’ve heard of his company The Victor Talking Machine Company which he founded 1901 (or at least its later incarnation as RCA-Victor). Perhaps you’ve heard of the Victrola, and in fact you might refer to every type of old-fashioned, wind-up record player as a Victrola. And surely you’ve seen Nipper the Dog, one of the first and most successful trademarks in business and advertising history. But this guy with the funny name and that – what’s he got to do with talking machines, fox terriers, and, for that matter, EMI? 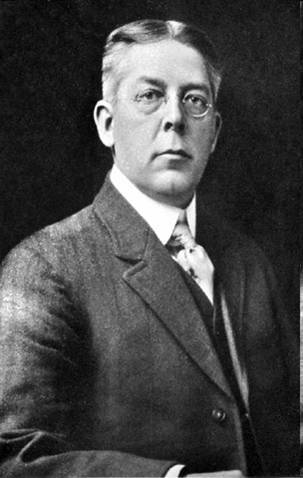 Eldridge Reeves Johnson (1867-1945) is an obscure figure in music history, and his name is certainly not as recognisable as Thomas Edison or Alexander Graham Bell. It’s a bit of his own fault, really, as Johnson, while promoting his company and its products vigorously, himself stayed in the background – unlike his contemporary Edison, or modern moguls such as Bill Gates or Richard Branston, whose names are as well-known as their products. Nevertheless, Johnson founded one of the ‘Big Three’ early record companies – The Victor Talking Machine Company (1901-1927) held its own against Edison Records (1888-1929) and Columbia Records (1888-present). The Victor Company was a sister-company with the Gramophone Company (independent from 1897-1931) in the UK; the Gramophone Company merged with the Columbia Graphophone Company in 1931 to become EMI, so Johnson and the Victor Talking Machine Company are part of EMI’s pedigree. Over ten instalments, we shall present 10 Interesting Facts about Eldridge R. Johnson, one of the founders of the modern recording industry. Before Johnson Fact #1, however, here’s a little background on the man himself. Johnson was born in 1867 in Wilmington, Delaware, USA, and grew up about 60 miles further south in Dover, Delaware, then a rural community. He went to high school at the Dover Academy in Dover, Delaware, now part of the grounds of Wesley College [http://www.wesley.edu/], and he hoped to go to university. 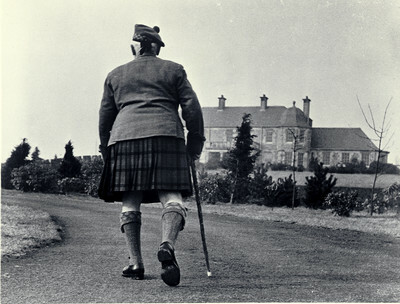 It’s unknown which school or course of study he had in mind; when Johnson, then aged 15, approached his high school principal about going on to higher education, he was told he was ‘too stupid’ to attend university, and should go to trade school instead. Johnson was gutted, and this comment stuck with and influenced him the rest of his personal and professional life. He was put on a train and sent north to be apprenticed to a machine shop in Philadelphia, and, according to the biography written by his son, ERJ cried all the way to his destination. Was Johnson ‘too stupid’? As a boy, he asked a lot of questions – at home and at school. Nowadays this is regarded as the sign of an inquisitive mind, praised, and encouraged, but in those days, asking so many questions was interpreted as being daft. Nevertheless, despite the low pay and long hours initially, Johnson applied himself to the work and his apprentice job, and to his displeasure (initially) he turned out to be quite mechanically apt. 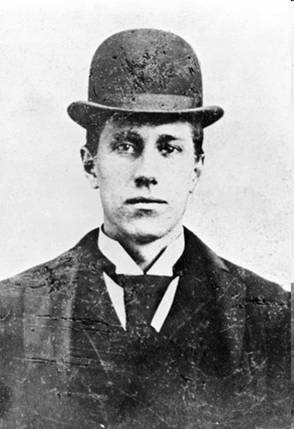 He worked in Philadelphia, then became attached to the Standard Machine Shop in Camden, New Jersey (where he filed his first patent to improve a bookbinding machine at the shop – Johnson seems to have been that guy who shows up in a place and quickly fixes all of the mechanical problems plaguing the company). At one point he went West to seek his fortune as the owner of this new shop planned to leave the business to his own son, but after a few adventures, Johnson realised there was more opportunity for work back on the East Coast. He returned to the little shop in Camden and inherited it after all, as the son had died suddenly and the owner was in financial peril. 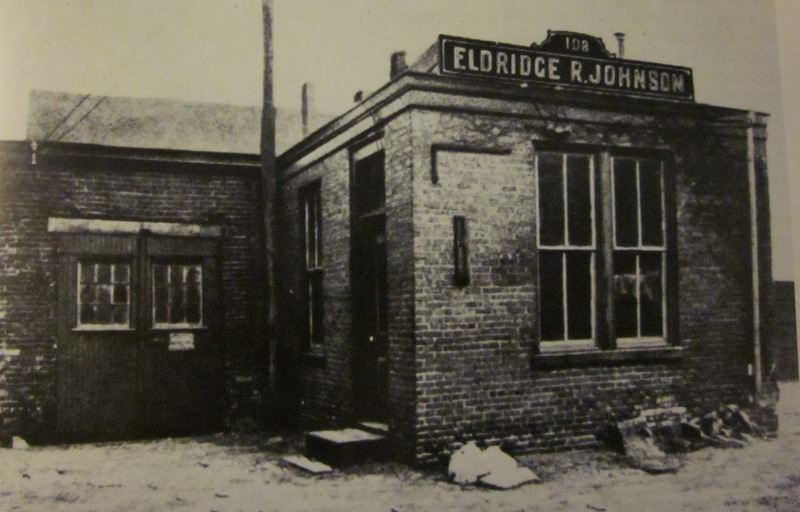 So Johnson took over the little shop and began to build a reputation for himself in the area as a mechanical engineer. Although he devoted himself to his work, he was also driven to educate himself in the classics and refined arts, and his diaries reveal later trips to the opera, visits to museums, and lists of literary texts to read. He never stopped asking questions, and turned his inquisitiveness into a business success – whether he was asking his workers about their lives and working conditions, or his customers about suggestions they had about or wanted from his products. This same, small machine should would eventually be surrounded by the Victor Talking Machine factory complex. In 1896, a representative from Emile Berliner’s Gramophone Company brought to Johnson’s shop one of Berliner’s ‘egg-beater’ or hand-driven gramophones. 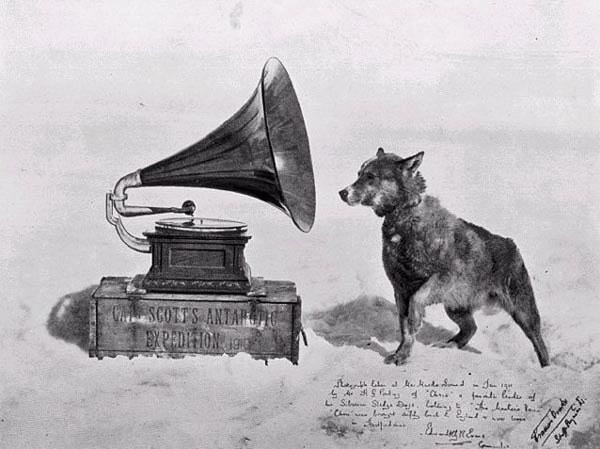 Berliner had patented his gramophone in 1887, but he himself was no mechanic – he wanted a spring-loaded motor for the machine to make it fully automatic, more than just a toy, as this would give him the edge in the extremely competitive world of sound-recording. Learning of Johnson’s mechanical skills, he sent the machine to the workshop in Camden. Johnson gave the little gramophone a look over, and took on the job – adding a spring-loaded motor (of his own design) would be quite easy. 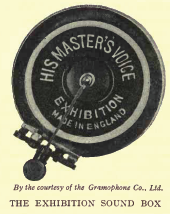 This invention alone would have sufficed to ensure Johnson’s role in the history of the recording industry: not only did this motor free the user from having to hand-crank the machine, but it also standardised the recording speed at about 78 rpm – instead of a toy, the gramophone could be regarded as a proper tool for recording and promoting both popular and classical music and artists. 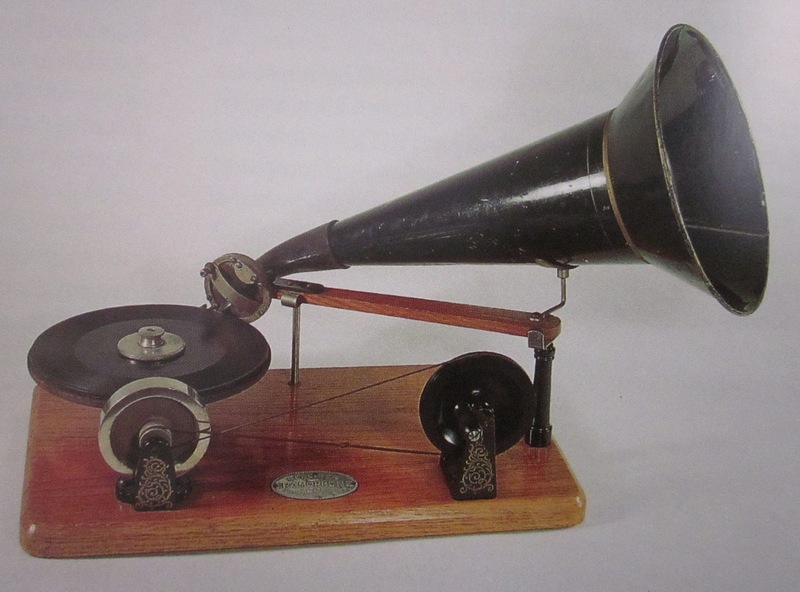 Of course that was to come – Johnson’s initial impression of that first gramophone was less than enthusiastic; he famously said that the sounded like “a partially educated parrot with a sore throat and a cold in the head.”’ Nevertheless, Johnson was intrigued and went into a subcontractor partnership with Berliner, building gramophones and gramophone parts. He also improved the quality of the recording process on the gramophone by experimenting with electroplating wax disks to make more precise and sturdier master matrices – the wax of which, by the way, came from melted down wax cylinders made by rival Edison. 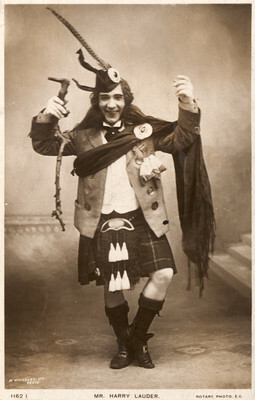 This partnership also meant that he also entered into association and later partnership with Berliner’s UK component, The Gramophone Company (headed at that time by William Owen). Long story short – Johnson won a successful lawsuit against Zonophone, saving Berliner, The Gramophone Company, and Johnson himself from financial ruin. Johnson’s original company, The Consolidated Talking Machine Company, became in 1901 The Victor Talking Machine Company, in cooperation and with the blessing of the Gramophone Company in England. This motto reveals much about his own personality, drive for success, and care for his employees and customers. And because the company was his top priority, this motto provides a clue why we don’t associate Johnson with Victor as we might associate Nipper, the great singer Enrico Caruso, or the Victrola itself. Johnson was a multi-millionaire very quickly with his company; when he finally sold Victor in 1927, he was worth close to $29 million. Problems with melancholia and depression had affected his relationship with his business over the years, and concerns that Victor was falling behind the competition with radio led him to sell his company 1927 (Victor was purchased by RCA in 1929), and he lived the rest of his life as a generous philanthropist while happily indulging his passion for his yacht and sailing. He died in 1945. We’ve stumbled across a wonderful book called “The Talking Machine Industry” written by Ogilvie Mitchell in 1924. It is a bit of a hack job to be frank. Mr Mitchell’s style is frothy and he gallops across a range of subjects to do with the history of recorded music at that point (i.e. less than 50 years after Edison invents the phonograph). The book is one of a series of books about Common Commodities and Industries and appears to have been partly financed by adverts from the industry in question (and in return features some product placement). Long since out of print, it’s a fascinating read. We particularly enjoyed the review of the four big UK companies of the day and will reproduce a section about each of the big four over the next few days, starting now with The Gramophone Company – the predecessor company to the modern EMI. “In England at the present time there are four companies manufacturing the higher priced records. 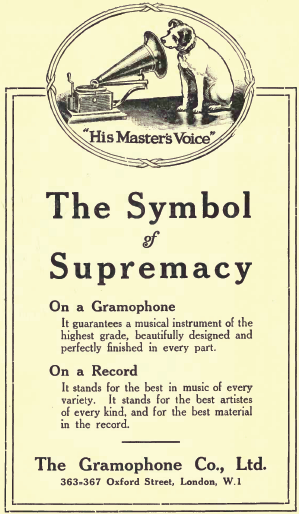 Of these The Gramophone Company, Ltd., undoubtedly holds the field. The history of this extensive concern has already been referred to cursorily in a previous chapter, but we would like to lay before the reader a more comprehensive chronicle of its origin and rise. 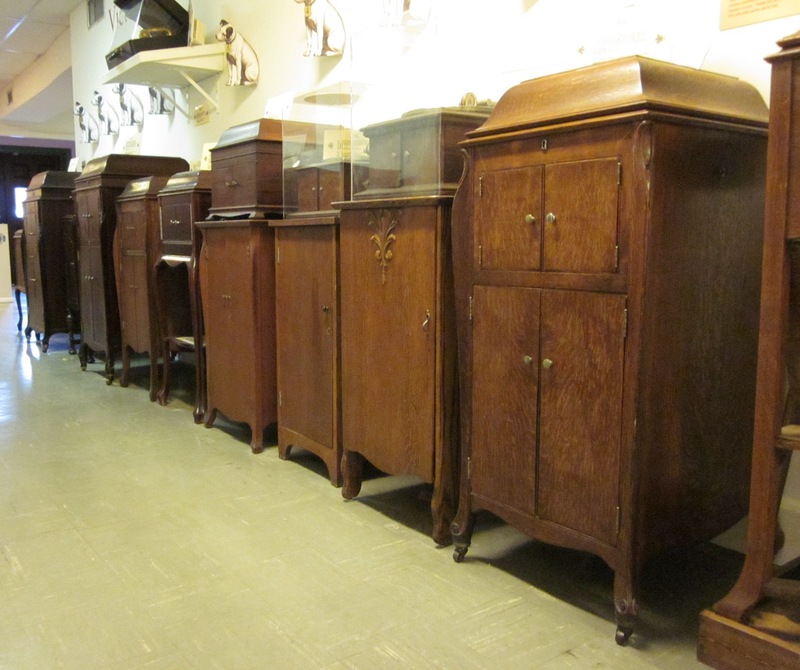 Like most of the other large firms engaged in the industry The Gramophone Company began its career in America. 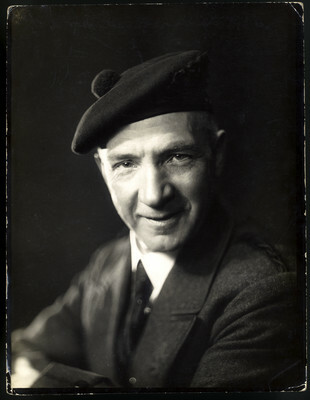 As previously stated, Berliner was the man who gave the term “gramophone” to his invention of a disc machine, though he never claimed an exclusive right thereto. 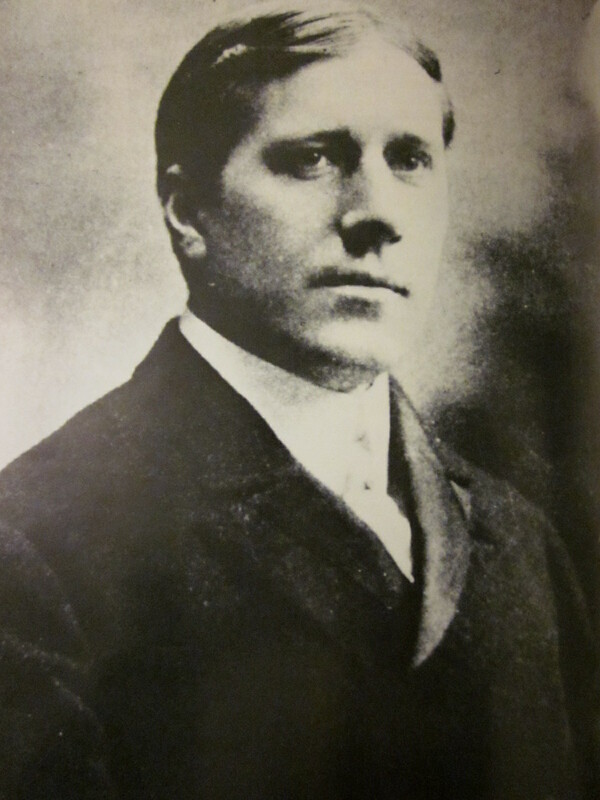 In 1896 or 1897 Berliner sold his English patent rights, including, it is said, his rights in respect of certain patented improvements, to a private firm calling itself The Gramophone Company, taking its name from the instrument. In 1899 this concern transferred its business to a company incorporated under the style of The Gramophone Company, Limited, the object of which, as defined by its Memorandum of Association, embraced, inter alia, the manufacture and sale of gramophones and phonographs and gramophone discs and phonograph cylinders. The last mentioned firm continued to sell machines and discs made under Berliner’s patent until the following year, when it parted with its business to a company with a larger capital. This new concern had about the same time acquired an interest in typewriters, and was incorporated as The Gramophone and Typewriter Company, Limited. The same year the Tainter-Bell patent expired, and the engraving method being considered superior to etching, the company abandoned the latter process and adopted the former, continuing, however, to use the name of gramophone. There was nothing wrong in that, for the essence of the Berliner system was the sinuous line of even depth and the word “gramophone“ had come to denote a disc talking machine, as opposed to the phonograph and graphophone which were at that time operated by cylinders. The Gramophone and Typewriter Company established a branch in England almost as soon as it was inaugurated, with Mr. Barry Owen as its representative, and some time afterwards dropped the typewriter section of the business, reverting to the old title of The Gramophone Company, Ltd. They had their offices in Maiden Lane, Covent Garden, and so rapid was the growth of this British branch that a company was formed with a share capital of £600,000, the ordinary shares in the first instance being offered to the trade. 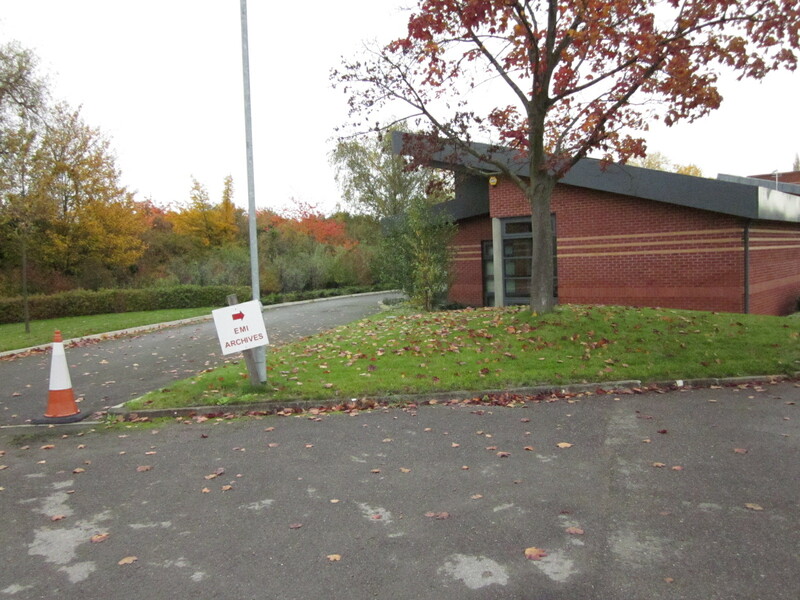 Thereupon they removed to the City Road where they remained in full swing until the extensive works at Hayes, Middlesex, which were opened in 1907, were ready to receive the army of workers of every description attached to the firm. This enormous factory has been enlarged and developed since that date until it now covers twenty-three acres of ground. 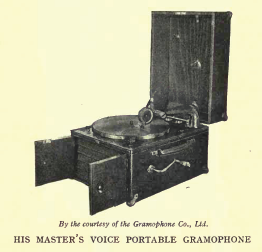 Ever since the expiry of Berliner’s 1887 patent The Gramophone Company had arrogated to itself the sole right to the term “gramophone.” In its dealings with the trade it had consistently claimed monopoly rights in the word as denoting goods of its own manufacture only, and by warning circulars, legal proceedings and threats of legal proceedings, had done its best to support its exclusive claims. Other manufacturers refrained from describing their instruments as gramophones from the dread of infringing the alleged rights of the company. The gigantic bubble, however, was destined to be pricked. In the year 1910 the company applied for power to register the term “gramophone” as applicable solely to the wares manufactured and dealt in by them. The most memorable case ever heard of in the talking machine world of this country ensued. It came before Mr. Justice Parker and lasted four days. Experts, legal and otherwise, were called, examined and cross-examined. The court was crammed with all the leading lights of the trade, who were there either as witnesses or as spectators. At length judgment was pronounced Power was refused, and the word “gramophone” became the property of anyone who had a disc machine to sell. A verbatim note of the whole proceedings was taken at the time by the Talking Machine News, and was published the morning after judgment was delivered. It was the only paper that printed the case in extenso. In legal matters The Gramophone Company have been rather unfortunate, for previous to the case we have spoken of they lost one over the Gibson tapering tone arm in 1906. This was an invention for which they claimed sole rights. These were disputed and the action went against them. Nevertheless, if they have been unlucky in the courts it cannot be denied they have been marvellously successful in business. Before the war there were subsidiary companies in various capitals of Europe, and they were connected with the great Victor Company of America, which has now a large controlling interest in the concern. The Zonophone Company, too, has been absorbed by this firm. During the war a portion of the huge factory at Hayes, the foundation-stone of which, by the way, was laid by Madame Tetrazzini, was given over to the manufacture of munitions. It is believed that The Gramophone Company was the first industrial concern, not normally engaged on Government contracts, to convert their plant. Within ten days of the declaration of war, the output of certain essential fuse parts was commenced. These required extraordinary accuracy and the mechanism at command of the company enabled them to make a beginning almost at once.